Every Christmas when he was growing up in Nottingham, Adam Penford’s parents took him to the Playhouse panto. One year, Penford was one of the children invited up on to the stage but was too shy. He immediately regretted his lack of courage. “Every year after that, I waited for them to ask me again. But they never did,” he says wistfully. Penford no longer needs to be asked to step on to the Nottingham Playhouse stage. He is running it. The theatre’s new artistic director designate – succeeding Giles Croft, who steps down after his final production at the end of the year after almost two decades – unveiled his first season this week. It includes the tasty prospect of Mark Gatiss playing the monarch in a revival of Alan Bennett’s The Madness of King George III. The Playhouse announced Penford had landed his dream job last November – he started in July – but there was a moment during his final interview when he thought he might have blown the opportunity. About half of that theoretical first season will become a reality as part of Penford’s announcement. 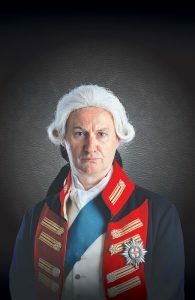 If the casting of Gatiss represents the ambition Penford has for Nottingham, it may mark a turning point for the venue. Despite successes under Croft, the Playhouse has not had the sense of purpose of some of its immediate neighbours. Penford, who is well connected after several years as Nicholas Hytner’s associate at the National, says he is determined to “put it back on the map”. It is necessary at a time when regional theatre is facing local authority cuts and stand-still funding. And at a time when buildings are under pressure to define their purpose, their role in the community and what they offer to both audiences and local artists. Nearby Sheffield Theatres had a distinct fizz and glitz under Daniel Evans, whose work Penford admires enormously; Derby Theatre has been reinvented as a learning theatre under Sarah Brigham and is a significant supporter of young talent. After a tricky start, the Curve in Leicester has settled into a mixed programme and is making a name as a try-out venue for musicals with wider aspirations. These include the successful adaptation of Sue Townsend’s Adrian Mole and the recently announced An Officer and a Gentleman. It’s no bad thing that Penford has looked at what others are doing well and what they are getting right. What was your first job? Box office at Riverside Studios for nine years. It paid the rent. What was your first directing job? Young Woodley and Tea and Sympathy at London’s Finborough in 2006. What do you wish someone had told you when you were starting out? There’s no point in comparing yourself to someone else – everyone’s career path is different. Who or what was your biggest influence? Nicholas Hytner. What’s your best advice for auditions? Preparation. I’m amazed by how many actors turn up at auditions without really preparing. If you hadn’t been a director, what would you have been? Working in theatre in some capacity. Do you have any theatrical superstitions or rituals? No, I don’t believe in them, and I dislike them. People rely on them too much and they have a negative effect. 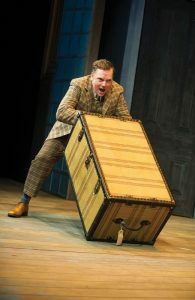 In One Man, Two Guvnors, James Corden had to toss a peanut into the air and catch it in the first 10 minutes of the show. It always got a round of applause, and if he ever missed he’d believe it was going to be a really bad show, and that was passed on to the subsequent casts. I thought that was complete rubbish. On his very first day in the job he instigated a new programme for artist development, and one of the plays in the first season is Mufaro Makubika’s Shebeen, directed by Matthew Xia. It is set during the 1958 race riots that sparked in Nottingham prior to the more widely documented Notting Hill riots. 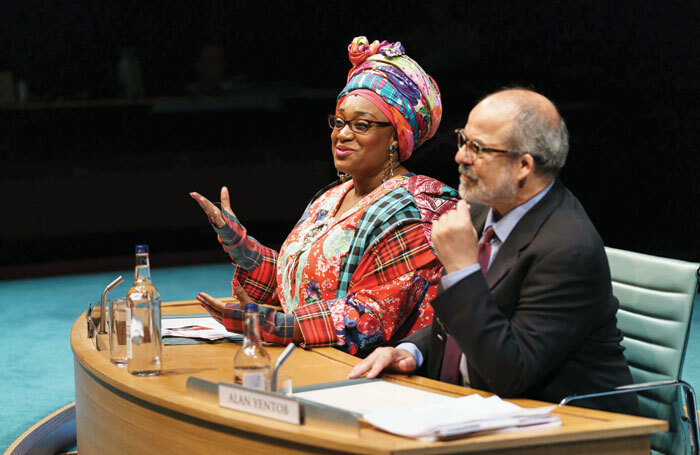 Nottingham-born playwright Beth Steel’s 2014 play, Wonderland – previously staged at Hampstead Theatre and inspired by her father’s experience down the pits during the Thatcher years – is also in a season that shoots for diversity in terms of gender, race and disability. 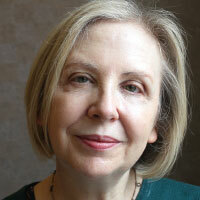 Three out of the eight productions are written by women and include Diane Samuels’ Kindertransport and Timberlake Wertenbaker’s modern classic, Our Country’s Good. The latter will boast a fully integrated cast and creative team of disabled and non-disabled practitioners and is a co-production with Ramps on the Moon. In future, Penford will aim for a 50/50 gender split. Penford has been undeterred from programming musical theatre despite the Playhouse’s proximity to the musical-heavy Curve, and the presence of the Theatre Royal, a receiving house just around the corner which gets touring shows such as Crazy for You and Beautiful. Penford’s debut season includes the revival of Sweet Charity, to be directed by Bill Buckhurst, whose Tooting Arts Club version of Sweeney Todd in a 109-year-old pie and mash shop transferred to the West End and then New York. The show will be choreographed by rising star Alistair David, who did such a good job at Chichester on Daniel Evans’ Fiddler on the Roof. “I am passionate about musicals, and it’s great to see everyone in the building excited about doing one, particularly the technical staff,” Penford says. “It’s a gamble. It’s bloody expensive. But it can pay off. There is a crossover audience for musicals. Look at what Daniel did with those Christmas musicals in Sheffield. People travelled far and wide to see those and they had commercial possibilities.” He clearly wants some of that commercial clout for Nottingham. He reckons it’s essential, not least because he wants to attract more high-profile actors such as Gatiss – with whom he recently worked on the London run and tour of The Boys in the Band – as well as directors and designers who are more likely to be found in London than the regions. “It’s about how you change the offer to them, and it’s not easy. Our fees don’t match those of the NT or the Donmar. It’s a vicious circle. Lots of young directors and designers know that their work won’t be reviewed regionally so if they have a choice between directing at the Bush or Nottingham, they will go for the former because they will get national reviews,” he says. For Penford, the allure of Nottingham was the chance to run his own theatre, particularly one with such a rich history – the roll call of artistic directors includes Richard Eyre and John Neville. It is a city he knows intimately, whose people, he says, are characterised by “an anarchic spirit”. It’s one of the reasons for doing Sweet Charity, but also for putting on a family show– a stage adaptation of Louis Sachar’s brilliant novel of friendship and race, Holes, which Penford will direct using puppetry and music – right at the centre of the first season’s offer. But if securing the artistic directorship of Nottingham Playhouse marks a homecoming for Penford (he didn’t tell his parents who still live in the city that he was going for the job until he actually got it), it has been via a circuitous route. Penford, whose mother was a primary school teacher and father a painter and decorator, had no theatre connections growing up. It wasn’t until he joined the local youth theatre that he developed any interest in the stage and started going to see everything at the Playhouse. When somebody else in the youth theatre got a place at the Liverpool Institute for Performing Arts, he decided to audition on a whim. He was successful. But within weeks of arriving he realised that he didn’t want to be an actor. “Actually, he was a very good actor,” says Donna Soto-Morettini, his acting coach at LIPA, and one of the people Penford credits with helping him find his true vocation as a director. “But he was always uncertain of himself as an actor,” she adds, saying that even so: “You could tell he was a theatre animal, and knew how to tell a good story.” Soto-Morettini and others at LIPA encouraged Penford to direct. His final project was a production of Terence Rattigan’s The Winslow Boy, an early indication of an interest in sturdy, well-made plays that have tended to go out of fashion among young directors hoping to make their mark. Most artistic directors have quite a strong sense of civic duty. Otherwise, why would they want to do the job? Running a building isn’t easy. There’s also a strong desire to want to nurture and develop an audience and take them on a journey with you. The real advantage of coming from Nottingham, and the fact my parents still live there, is that I’m going to know what the opinion is on the ground about the Playhouse. It could prove invaluable. I already know in great detail what everyone thinks about the food on offer. I don’t need to make the argument for the arts or for regional theatre. I know what the Playhouse did for me growing up. It gave me an education. We need to do that for future generations too and that means doing whatever is necessary and looking to other ways to support these buildings – through sponsorship and philanthropy – to ensure their survival. 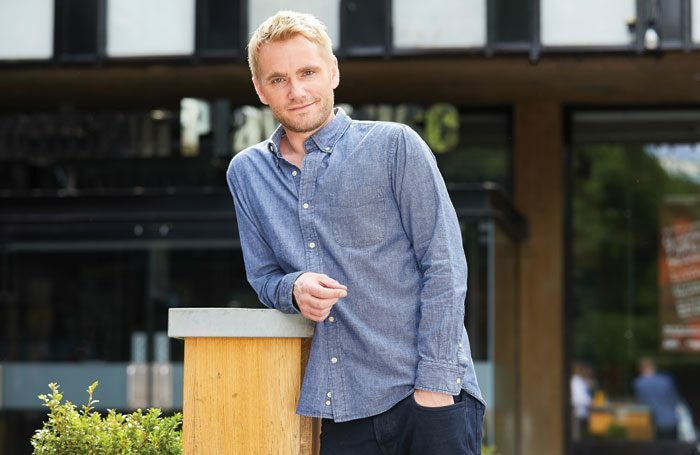 There are plenty of Penford’s contemporaries – including Jamie Lloyd, who was also at LIPA – who have had more stellar careers, but Penford is not complaining. “Mine has been much more slow-burning. Although I’ve seen many of my contemporaries’ careers fly, I’ve also seen lots of people fall by the wayside,” he says. It’s certainly encompassed a broad range of work. His most recent production was the verbatim musical about the collapsed Kids’ Company – Committee – at the Donmar Warehouse in London, but over the last couple of years he was as likely to be found doing Deathtrap in Salisbury or a terrific robust revival of Watership Down in Newbury. Surely over the years he has looked at others making a name for themselves and sometimes felt frustrated? “Honestly, no,” he says – and I believe him. That show was the 2014 revival of Alan Ayckbourn’s A Small Family Business and Penford is the first to admit it didn’t fly as intended. “It was originally supposed to be in the Lyttelton. I had worked there as a resident, I knew it inside out. But it was moved to the ‘Ollie’. I couldn’t argue about it. It was the space Ayckbourn had written it for and where he had directed it himself. He certainly doesn’t think it contributed to him leaving the NT. “No, it was about Nick leaving and Rufus [Norris] coming in and quite rightly wanting to give those opportunities to the artists he had a relationship with. I was just part of a general change in the building, which was quite right. I don’t feel bad about it. That is what I am about to do in Nottingham. It’s this mixture of pragmatism, good sense and a generosity of spirit that makes Penford such a likeable character. He’s clearly no pushover, but he also seems genuinely a bit stunned that “the stars aligned” to drop the Nottingham job into his lap. A couple of days before we met he had returned to LIPA to give the alumni address. What did he tell them?